Alcaline ionized water, WELL-BEING & HEALTH! Drink yourself healthy. Make the switch to alkaline water. “OVERVIEW”]Our bodies are 75% water, making the quality of our drinking water the key to our health—and the pH of our drinking water the key to our vitality. You can live that healthy, energetic lifestyle you’ve always dreamed of. Whether you want to keep up with your kids, grandkids, or just enjoy more pain-free days, help prevent generative disease including cancer, we can help. Cleans & detoxifies your body (but does NOT deplete if from healthy minerals as purified. distilled & Reverse Osmosis water )while delivering a powerful ANTIOXIDANT & ANTIINFLAMATORY AGENT( knows as MOLECULAR HYDROGEN H2, that fights oxidative stress by identifying and neutralizing free radicals in the body – responsible damaging healthy cells DNA, illness and premature aging ) . Increase alkalinity thus helps with degenerative disease caused by acidosis such as CANCER , HEART DISEASE , KIDNEY DISEASE and MANY OTHERS. Increases your vitality and energy levels as well as reducing your biological age. What good is healthy water if it isn’t also clean water? 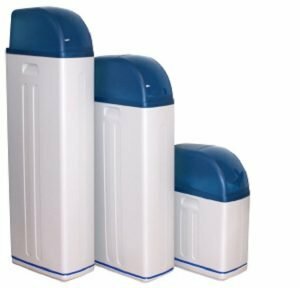 Better than 0.01 micron UltraFiltration or a series of external water filters, UltraWater incorporates Sediment shield, BioStone Booster, BioStone Carbon Block with Impregnation Plus(zeolite and silver), Bioceramic Tourmaline with Scale Guard, UltraWater Disc Technology to offer ultraclean alkaline ionized and molecular hydrogen water and most important has been tested and certified by a governmental laboratory for efficient removal of 172 water contaminants – UltraWater filtration technology – the most thoroughly tested and safest water filtration option available. Water molecules come in clusters rather than single molecules. Tap water which is under pressure has very large clusters of 12-16 molecules. The ionization process breaks the electrical bonding of water molecules and restructures the water down to about 5-8 molecules per cluster. 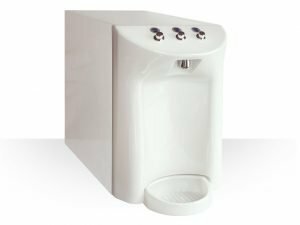 This smaller cluster size means that the water can be more easily absorbed into the cells, thereby providing superior hydration for the body and helping to dissolve and flush out acidic solid waste and toxins that have accumulated in the body. 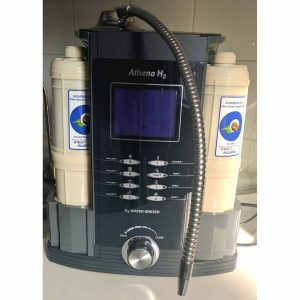 Because of its ability to hydrate the body and flush out toxins, our FREE from contaminants & alkaline water helps the body first by eliminating the toxins, second by restoring cellular pH to alkaline ( provides the body with alkaline minerals to help buffer acidity and build acid buffering reserves) , and also offers a powerful antioxidant( – H2 ) to bond to free radicals and prevent cellular DNA damage and aging. Did you know that an overabundance of acidity(acidosis) in the cells( in the body) could cause or worsen a degenerative disease including cancer & heart disease? Acidity (as opposed to alkaline) means low pH (pH <7) and is closely related to low oxygen levels .The term pH refers to concentration of the Hydrogen proton. Or, some will claim percentage of Hydrogen. There are other definitions including acid/alkaline balance. In general chemistry, acidic compounds tend to expel oxygen, while alkaline or base compounds (opposite of acid) absorb oxygen. A glass of vinegar and water will not absorb oxygen from the air, whilea glass of baking soda in water tends to do that. So, pH puts a number on the degree of acidity.Our modern diet, rich in acid-forming processed foods, especially sugars and cereals, meats & animal products & others.Other factors also contribute to acidosis, such as stress, pollutants & others.Excessive acid conditions drive out oxygen from the cells (from the body). Dr. Otto Warburg received the Nobel prize in 1931 for the discovery that unlike all other cells in the human body, cancer cells do not breathe oxygen. Cancer cells are anaerobic, which means that they derive their energy without needing oxygen. Otto Wartburg’s research revealed that when a cell is acidic & does not receive 60% of its normal oxygen needs, it goes to a mechanism of fermentation and uncontrolled increase. Many scientists have confirmed Dr. Otto Wartburg’s discovery, using various scientific methods and techniques(from Gaston Naessens using the Dark-field microscope to recent studies ) : long-term lack of oxygen in cells is the key driver of cancer growth. It turns out that cancer cells cannot survive in the presence of high levels of oxygen . Oxygen and alkalinity are frequently called a cancer cell’s worst enemy, and a variety ways and means to increase the body’s oxygen and alkalinity content have been developed over the decades worldwide. Many degenerative diseases of our time (including cancer & heart disease) respond to oxygen and alkaline therapy. “In general, degenerative diseases are the result of the accumulation of acid waste in us. When we are born, we have the highest concentration of alkaline substances and also body pH is the highest Since that time, the normal process of life is to gradually acidify. This is why these degenerative diseases do not occur when you are very young. The methods of delivering oxygen into the body & raise alkalinity are too numerous to describe here. Did you know one of the most powerful ways you can counteract the acidity/low oxygen levels in your body’s cells, most likely caused by stress and lifestyle choices, is to drink alkaline water? It is important to know the symptoms of acidosis because these are what alkaline water neutralizes. Are there any other alkaline water & PURE benefits? Do you often feel tired or lethargic? Do you suffer from frequent colds, infections, illnesses, or joint pain? Do your nails, skin, and hair look and feel unhealthy? If so, then your body may be too acidic! What you eat, drink, put on your skin, the quality of the air you breathe, the exercise you do and even the thoughts you think can all contribute to make your body acidic. Most people are too acidic, and that drains their energy and causes illness and disease without them realising that’s the cause. 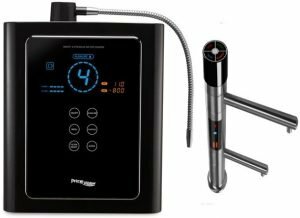 Alkaline ionized water is a strong source of anti-oxidants since it contains an abundance of free electrons which can be donated to the body in order to neutralize free radicals. But what exactly is oxidation? Think of what happens to a slice of apple left out on the counter for a few hours: it turns brown due to exposure to unstable oxygen molecules in the air. Inside our bodies, our cells are also continuously subjected to oxidation due to the presence of oxygen free radicals, which are unstable molecules desperately seeking electrons for stability. Free radicals have been scientifically proven to cause cellular and DNA damage that contribute to aging and can lead to the onset of various diseases. For more info and details about each specific illness and treatment, click on the HEALTH USAGE tab above. Acid ionized water is considered to be more beneficial to the skin than usual when you wash your face , because the skin is an acidic organ and acidic water reduces microorganisms , reduce fine lines and reduces the amount of bacteria that causes pimples . Acne: depending on the type of acne , there are different ways of using ionized water to treat it. None of them will hurt , so if one way does not work try another way . 1 . Where boils, inflammation & infection ( irritation ) it is recommended to spray PURE highly acidic water (pH 2.5 ) and let it dry . When the place is completely dry , apply a bandage soaked in alkaline ionized water , FREE from contaminants for 5 minutes . This enables the body to neutralize the acids that cause acne. 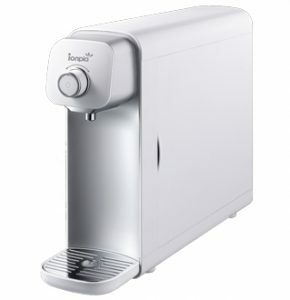 Dry the area and then spray with water PURE acidic water ( beauty water – 4.5 pH – 5.5 pH ) and let it dry . Repeat this process two times per day. Athlete’s Foot – Foot bathing is recommended twice a day with PURE acidic water , HEATED . Back pain (LINK ) – recommend applying a water compresses on the affected area with PURE acidic water for half an hour , five times a day. You can drink 150 ml of PURE(with no contaminants) acidic water five times a day, half an hour before meals . Bruises – wash wounds, beginning with PURE acidic water .After 5 minutes with PURE alkaline water. Wounds should be covered with sterile gauze and washed with PURE alkaline water every 4 -6 hours until complete healing . Chronic fatigue – recommended ingesting PURE, optimally ionized alkaline water s . Consumption of 1.5-2 liters of alkaline water daily and we will see an improvement in irritable bowel syndrome . 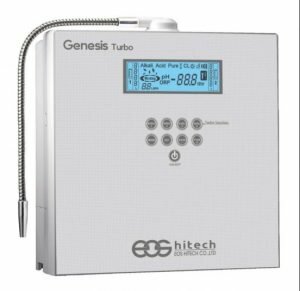 Constipation – recommended intake of half a liter of optimally ionized alkaline water,FREE from contaminants on an empty stomach , especially in the morning , at least half an hour before meals . Colitis – recommended before bedtime ingesting of 100 ml of PURE acidic water , heated to 37-40 Celsius . 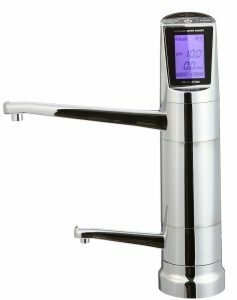 20 in later drink 100 ml of optimally ionized alkaline water,FREE from contaminants, heated. repeat the same procedure for three days . Pain stops since day one. Cough – recommended 100 ml of PURE alkaline water, four times a day, half an hour after meals for two days in a row . Cuts and scrapes : When the skin has been affected is recommended to use PURE highly acidic water contaminants (pH 2.5 ) at least once a day. This helps the immune system to avoid the micro -organisms such as bacteria , viruses, etc., which can enter the body through damaged skin . Then apply on broken skin beauty water – pH 4.5 – pH 5.5 for 3 minutes and let it dry . This helps close pores and removes pain. For best results drink at least 50 ml / kg body weight per day PURE alkaline water . Diarrhea – recommended intake of 200 ml of PURE acidic water .If no improvement within one hour , repeat the procedure . Diabetes – recommend ingestion of optimally ionized alkaline water FREE from contaminants , which they say can cure even the worst cases of diabetes. One patient commented : at first I was forced to take insulin at a level of 24 , but now the blood sugar level reached 100-110 so I do not need to insulin.All I did was to drink every day 6 – 8 liters of alkaline water. After short-term problem solving , adopt an alkaline lifestyle and you can reduce quantity of ingested water . Enlarged prostate – recommend ingesting 100 ml optimally ionized alkaline water without contaminants ,4 times a day, half an hour before meals , for 8-12 days.In many cases large amounts of alkaline water without contaminants helps when consumed on a daily basis at least one liter. 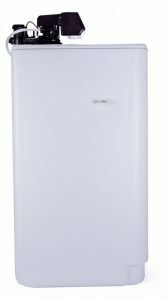 Fungi and Mushrooms – Wash affected areas twice daily , beginning with acidic water with no contaminants for 10 minutes , and after about five minutes with PURE alkaline ionized water Repeat the process for three weeks , even if the fungus disappear in time. Flu and Cold – wash nasal passages eight times per day with PURE, acidic water and gargle for 10 minute.Evenings before bed , drink 200 ml of alkaline ionized water ,PURE . Treatment for 2-3 days . Hair loss – wash the affected area twice daily , first with PURE acidic water and after about 5 minutes with PURE alkaline water , for three weeks . 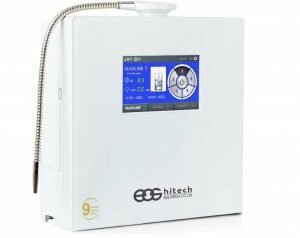 Hangovers – to neutralize alcohol ( producing strong acid salts ) and to balance the pH level is recommended ingestion of large quantities optimally ionized alkaline water, FREE from contaminants. Heart problems – most heart disease is caused by the accumulation of waste acids. To improve heart condition it is recommended daily ingestion of a liter of alkaline ionized water FREE from contaminants . Haemorrhage – external wounds can be treated with acidic water,PURE to stop bleeding , while at the same time disinfect .PURE acidic water can be used for bleeding gums by rinsing mouth . After you drink large amounts of PURE alkaline water bleeding gums will disappear completely . Hemorrhoids – after emptying the bowels , wash the affected area with PURE acidic water.. Immediately after drying , apply a cotton ball soaked in PURe alkaline water. In case of internal hemorrhoids , apply a PURE acidic water enema ( 50-100 ml ) over 5 minutes, followed by PURE alkaline water enema for half an hour . Early treatment is recommended ingestion of 150 ml of PURE acidic water on an empty stomach , followed two hours later by ingestion of 250 ml of PURE alkaline water . Continuing with alkaline water with no contaminants . every 4 hours , each time half an hour before meals . Herpes – wash the affected area twice daily, beginning with PURE acidic water for 10 minutes and then after about 5 minutes with alkaline water, PURE( with no contaminants) . Treatment will last three weeks. Hypertension – regularly drinking our best optimally alkaline ionized water ,without contaminants leads in time to normalize blood . Calcium (ionized) in alkaline water is beneficial to the heart and thus to regulate blood pressure. Immune system problems– drink 1 liter / day PURE, optimally alkaline ionized water- raises blood oxygen level and is good protection against contagious diseases and fortifies & maintains sytong immune system .Recommended daily intake of 30 ml of PURE, alkaline water / pound. At a weight of 80 kg is recommended to consume 2.4 liters of PURE , alkaline water . Inflammation of the liver – the first day drink 300 ml of acidic water with no contaminants , five times a day, half an hour before meal.In next 3-4 days drink 300 ml of alkaline water FREE from contaminants five times a day, half an hour before meals . Kidney stones – kidney stones are formed of calcium, phosphoric acid and uric acid . Calcium but it is only binding element within the stones necessary to minimize the effects of phosphoric and uric acids . Ingesting PURE alkaline water helps to dissolve acid wastes and calcium release . Kidney Problems – after neutralization of wastes from the blood by alkaline water without contaminants , the kidneys are forced to filter toxines. Consuming more PURE optimally alkaline water , the more dilute acids in the blood will be and the easier for kidneys to remove wastes. Leg ulcers – wash affected areas with PURE acidic water , followed by application of PURE alkaline water compresses .Repeat application compresses every 4 hours. Areas must be wrapped in sterile packs . It is important during treatment to spend time lying down . Moles , warts, etc. : If you have skin abnormalities using PURE, strongly acidic water ( pH 2.5) is likely to see results. In most cases it is easier to use a bandage soaked in water for taping this area. Change the bandage at least once a day . Most people have noticed that had to continue the procedure described above , from 30 to 60 days to see results. If moles , warts are in an area that presents difficulties in applying the bandage during the day or in public , apply bandage in your leisure time. Mouth wash : Use PURE . strongly acidic water (pH 2.5 ) to gargle . 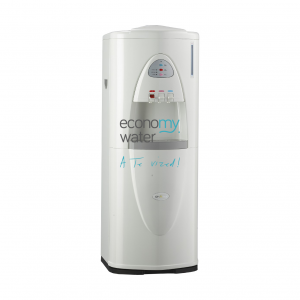 This water kills bacteria and other micro -organisms in less than a minute. Bacteria in the mouth leading to the production of cavities. Obesity – increased stomach in men and women show an accumulation of acid waste products in the blood . Blood circulation in these areas is very low , which explains why people in dieting lose weight everywhere they do not want . PURE, optimally ionized alkaline water neutralizes these acid wastes .Process is slow but absolutely sure.In same time minimizes the feeling of hunger recommend minimum 1.5 liters daily. Osteoporosis – calcium is pulled out of the bones to balance increasing acidity the body accumulates in time . By losing calcium bones become fragile and we become ill from osteoporosis . To counteract this process is recommended ingestion of large amounts of PURE(yet remineralized), alkaline water . If you have a child who can not gargle put water in a spray bottle and spray for 3-4 times a day ( it will not hurt them if they swallow water). Most times children tell us that their pain goes away in a few minutes. Sleepiness – frequently happens in the afternoon as people feel tired Why? After eating , the stomach needs a lot hydrochloric acid to digest food. It may not be stored , so blood must produce it in a very short span of time. Therefore , ingestion of PURE alkaline ionized water . half an hour before and after each meal is very beneficial. Wounds/ Bruises – wash wounds, beginning with PURE acidic water .After 5 minutes with PURE alkaline water. Wounds should be covered with sterile gauze and washed with PURE alkaline water every 4 -6 hours until complete healing . See what professionals and consumers have to say about the life-changing benefits of alkaline water by filling out the form, then checking your email for details on your FREE DVD. As an added bonus you can request a free consultation with one of our water specialists, who can help you get a free analysis of your municipal tap water. 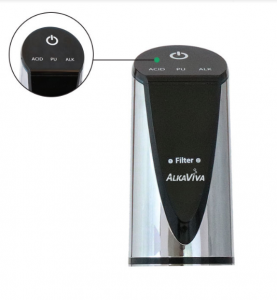 ALKAVIVA water ionizers have been ENDORSED by New York Best Selling Authors, Dr. Robert O. Young, author of “The pH Miracle”, and Dr. Ben Johnson author of “The Healing Codes”. 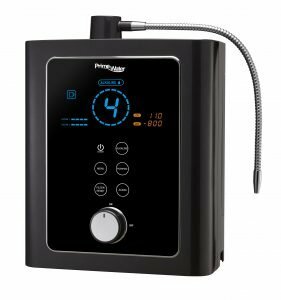 Also, ALKAVIVA water ionizers are the choice for Dr. Ted Baroody, notable author of “Alkalize or Die” and Sang Whang, scientist and author of, “Reverse Aging”. ALKAVIVAproducts have been chosen for a variety of ionized water applications by professional athletes, physicians, embassies, health practitioners, hospitals, commercial companies, horticulturists, executive chefs, alternative health centers, and more. Experts do NOT recommend drinking water over pH 9.5 -such as Dr. Theodore Baroody (author Alkalize or Die), Dr. Robert O. Young (The pH Miracle), Sang Wang (Reverse Aging) and the Korean FDA plus Japanese Ministry of Health. As is true with many things, in the end it’s a matter of balance. Water that is too acidic or too alkaline used over a long period can be detrimental to human health and lead to nutritional disequilibrium . This was demonstrated in a Swedish well water study , which found both pH extremes to be problematic. Your body simply was NOT designed to drink highly alkaline water ALL the time. What you want is pure water – water that is clean, balanced, and healthful, neither too alkaline nor too acidic. Ideally, the pH of your water should be somewhere between 6 and 8. 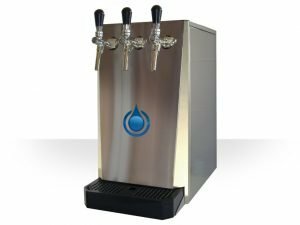 -as opposed to other brands that focus on producing wide range of pH & ORP, though ALL our water ionizers can and will produce ionized water with wide range of pH & ORP , ALL our water ionizers are designed to optimally ionize your water – with a unique history of over 30 years research and experience , collaborations with hospitals , medical centers, specialists and researchers,we think that what nature creates should be a reference point . 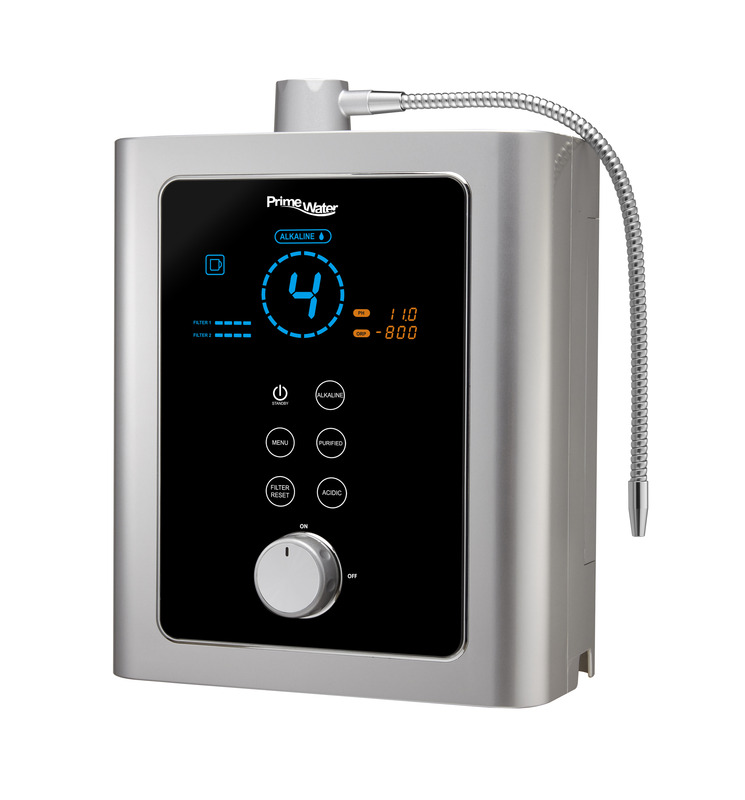 NATURALLY occurring alkaline and ionized water is NOT generally over pH 9 nor does it have artificially high – ORP. We know – we went to Vilcabamba, Ecuador to meet with the people in the Valley of Longevity and tested their water. There are five locations in the world where scientists have found a type drinking water that exhibits extraordinary physical characteristics and where the inhabitants reportedly live to be over 100 years of age, are in excellent health, have no cancer, no dental caries, are robust and have children in their old age. They are called Hunzaland in the Karkorum Mountains just north of Pakistan in the Himalayas, the Vilcambamba in Ecuador, a high mountain valley in Georgia, Russia, another in Mongolia and the final one in Peru. Though all these areas have different cultures and diets, they all have one thing in common – their water has similar properties.We studied them & tried our best to replicate them! 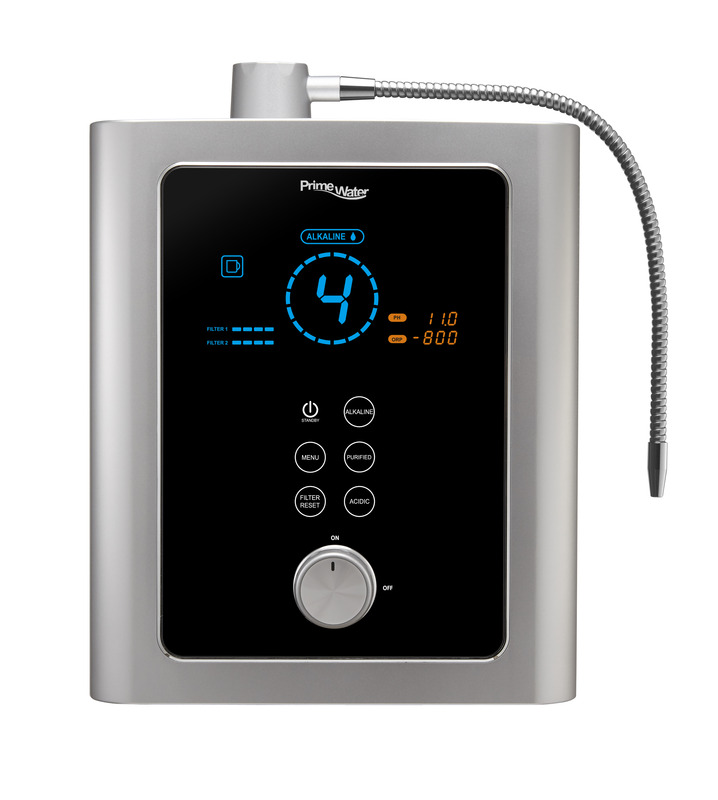 Although highly ionized water has its short term/immediate benefits in serious conditions ( emergency problem solving ) , long term well-being & health is achieved and maintained through balance along with an alkaline lifestyle( starting with the way we think , love and enjoy life , the water we drink , foods we eat , how active we are , how much quality sleep we get & other factors ). 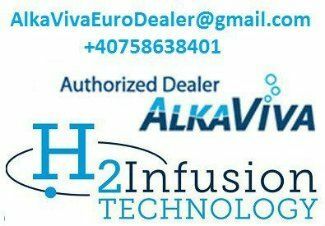 Therefore, ALL AlkaViva water ionizers are optimized to produce ionized water (alkaline & acidic) with optimal pH and ORP levels that you will enjoy and you will find the most beneficial and healthy as we found as a result of 30 years of experience in the field of natural health. We also offer solutions to remineralize and rebalance water without using electricity/water ionization for those who have water that is naturally low in minerals or for those who just want to enjoy water without contaminants , NOT ionized , but with beneficial minerals . The information on this website is for information purposes only. It is not designed to diagnose, treat, cure or prevent any disease. It should not be construed as personal medical advice or instruction. No action should be taken based solely on the contents of this website. Readers should consult appropriate health professionals on any matter relating to their health and well-being. The information and opinions provided here ARE believed to be accurate and sound, based on the best judgment available to the authors, but readers who fail to consult appropriate health authorities assume the risk of any injuries. Do NOT drink ionized water with a pH over 9.8. Do NOT consume acid ionized water. Some medications may be affected if taken with alkaline water. Take these medications with water from the “Purified” (neutral) setting. Consult your physician. 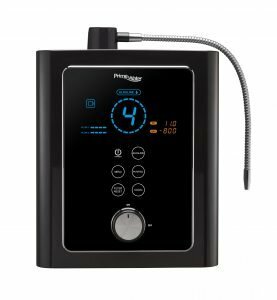 Water ionizers should not be used on water that is microbiologically unsafe without a proper water filter. 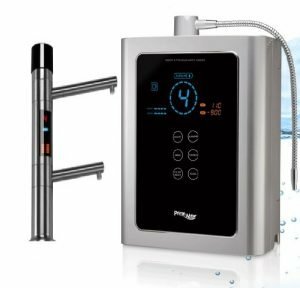 If you plan to use the water ionizer with well water that is very hard or high in iron or sulfur, please contact us first. For over 10 years of my experience, my concept towards minerals, especially pertaining to ioniccalcium in high blood pressure and other diseases is most significant.In accordance to the theory of medical Prof. Gato of Kyushu University on Vitamin K (because vitaminK enables the blood calcium to increase), or the consumption of more alkaline ionic water, theeffectiveness of the increase in calcium in high blood pressure is most significant. Most illnesses arecaused by too much fats in the diets, which lead to the deposition of cholesterol on the blood vesselswhich in turn constrict the blood flow. This results in high blood pressure.By drinking alkaline ionic water for a period of 2 to 3 months, the blood pressure should slowly drop,because the alkaline ionic water is a good solvent which dissolves the cholesterol in the blood vessels. In my opinion, the wonder of alkaline ionic water is the ability to neutralise toxins, but it is not amedicine. The difference is that the medicine can only apply to each and individual case, whereas thealkaline ionic water can be consumed generally and its neutralising power is something which is verymuch unexpected. Now, in brief, let me introduce to you a heart disease case and how it was cured.The patient was a 35 years old male suffering from valvular heart disease. For 5 years, his sicknessdeteriorated. He was in the Setagays Government Hospital for treatment.During those 5 years, he had been in and out of the Hospital 5 to 6 times. He had undergone high techexaminations such as angiogram by injecting VINYL via the vein into the heart. He consulted andsought treatment from many good doctors where later he underwent a major surgical operation. Uponhis discharge from the hospital, he quit his job to convalesce. However, each time when his illnessrelapsed, the attack seemed to be even more severe. Last year, in August, his relatives were in despairand expected he would not live much longer. It so happened at that time that the victim’s relative cameacross the alkaline ionic water ionizer. His illness responded well and he is now on the road torecovery. The difference between drinking alkaline ionic water and the normal water is that the excretion of urineis slightly more than intake. However, for severe kidney failure patients, water intake has toberestricted.Consuming alkaline ionic water for these patients in controlled amounts proved to be beneficial.Normal tap water contains phosphate, calcium carbonate and the acidic ions. These acidic ions tend toreduce the efficiency of the calcium ions.Pure alkaline ionic water does not have these problems and it can effectively strengthen the heart andincrease urination. After consuming the alkaline ionic water for a month, the amount of urea and uricacid in the blood will show a marked improvement but will not disappear completely.However, if you continue to drink alkaline ionic water for a period of 6 to 12 months, the urea and uricacid should be grossly reduced. 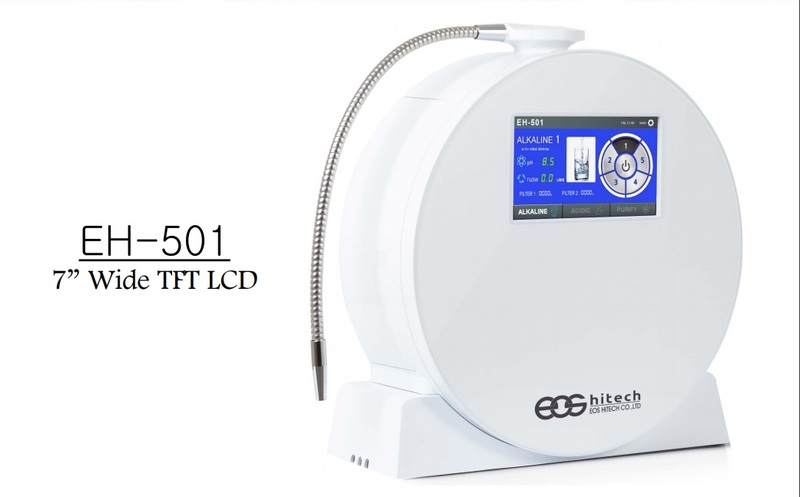 Intake of protein during this period should also be controlled, persistentdrinking of alkaline ionic water should eliminate the toxic effect of the urea and uric acid from thebody.According to a foreign paper report, patients undergoing dialysis tend to have their negative ionssignificantly reduced and the positive ions increased. Hence, according to the above experiment andfrom my personal clinical experience, drinking alkaline ionic water increases the positive ions whichwill have a significant effect on various kidney diseases. When kidney diseases do not respond tovarious drugs, it is good to threat them with alkaline ionic water. Eczema is used to describe several varieties of skin conditions which have a number of commonfeatures. The exact cause or causes of eczema are not fully understood. In many cases, eczema can beattributed to external irritants.Let me introduce a patient who recovered from skin disease after consuming the alkaline ionic water.This patient suffered 10 years of eczema and could be cured effectively even under specialist treatment.This patient, who is 70 years of age, is the President of a vehicle spare parts company. After the war,his lower limbs suffered acute eczema and later became chronic. He was repeatedly treated in aspecialist skin hospital. The left limb responded well to treatment, but not so on the right limb. He suffered severe itchiness,which, when scratched led to bleeding. During the last 10 years, he was seen and treated by manydoctors. When I first examined him, his lower limb around the joints was covered with vesicles.Weeping occurred owing to serum exuding from the vesicles.I advised him to try consuming alkaline ionic water. He bought a water ionize and consumed thealkaline ionic water religiously and used the acidic water to bathe the affected areas. After 2 weeks of treatment, the vesicles dried up. The eczema was completely cleared without any relapse after l ½ months. Mr. Yamada, the head o Police Research Institute, suffered from severe allergy. He was treatedrepeatedly by skin specialist, but with no success. Then, he started consuming alkaline ionic water. Theallergy responded very well and was soon completely cured. No relapse had occurred, although he hadtaken all kinds of food. He was most grateful and excited about this treatment.As for myself, I had also suffered severe allergy. Ever since I began to consume alkaline ionic water,the allergy has recovered. Since then, I started a research on the effectiveness of alkaline ionic water. Idiscovered that most allergy is due to acidification of body condition and is also related to consumingtoo much meat and sugar. In every allergy case, the patient’s ionic calcium are excessively low whichin turn lower the body resistance significantly. The body becomes overly sensitive and develops allergyeasily. To stabilise the sensitivity, calcium solution is injected into the vein. Therefore, it is clear thatthe alkaline ionic water which has ionic calcium can help to alleviate allergy.The ionic calcium not only enhances the heart, urination, neutralization of toxins but controls acidity. Italso enhances the digestive system and liver function. This will promote natural healing power andhence increase its resistance to allergy. In some special cases of illness which do not respond to drugs,it is found to respond well to alkaline ionic water. When I was serving in the Fire Insurance Assocation, I used to examine many diabetic patients.Besides treating them with drugs, I provided them with alkaline ionic water. After consuming alkalineionic water for one month, 15 diabetic patients were selected and sent to Tokyo University for furthertest and observations.Initially, the more serious patients were a bit apprehensive about the treatment. When the alkaline ionicwater was consumed for some time, the sugar in the blood and urine ranged from a ration of 300 mg/lto 2 mg/dc. There was a time where the patient had undergone 5 to 6 blood tests a day and detected tobe within normal range. Results also showed that even l l/2 hour after meals, the blood sugar and urineration was 100 mg/dc : 0 mg/dc. The sugar in the urine has completely disappeared.